Disclosure: The Babiators information, product and additional gift pack have been provided by Babiators. All opinions are my own. anywhere without my sunglasses, but I've never found a great option for Grace. That is why I was excited when I was sent a pair of BABIATORS to review. their world without worrying about the damaging effects of UV damage. whether they’re on your child’s face or end up in your child’s mouth. that won’t break when you bend, twist, or step on them. Trust us, we’ve tried! Classic aviator sunglasses make sure your little one is the coolest kid around. 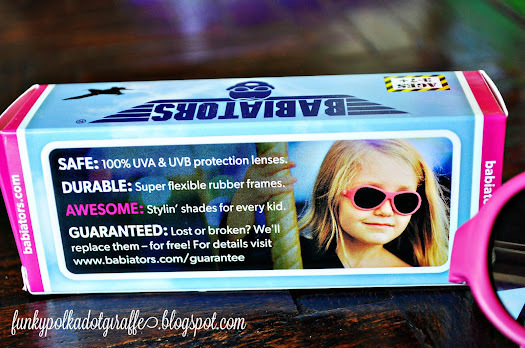 if you lose or break your shades in the first year, Babiators will replace them for free. Babiators are made of a soft material that is comfortable and lightweight. They are designed to fit kids’ faces and don’t pinch the temples or nose. their children’s eyes with sunglasses. 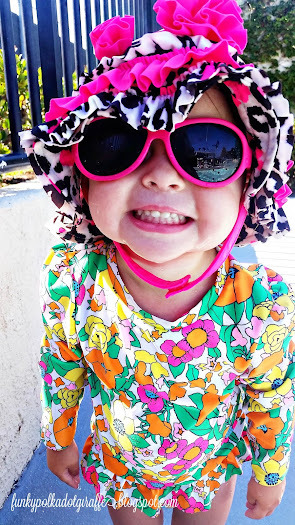 out because she handled them just as any 2-year-old handles sunglasses. to all her toddler shenanigans. 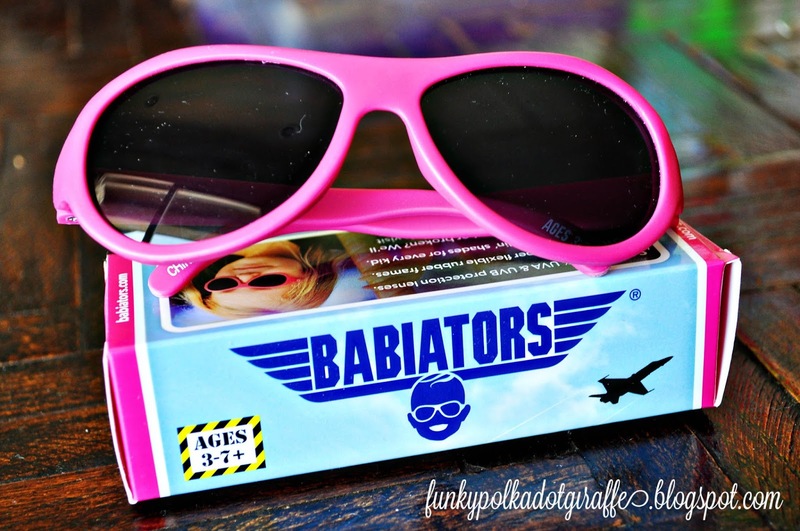 Babiators has given me a pair to give away! So enter below for your chance to win! I love the popstar pink babiators. I'd pick pop star pink for my daughter! She kills me. So stinking cute. I love the Blue Angels Blue Babiators!